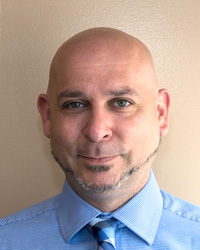 WISER is pleased to welcome Adam Kukic as our Director of Administration. Adam joins WISER after 7 years in healthcare education with the University of Pittsburgh School of Medicine where he most recently served as the Program Administrator for their Standardized Patient Program. Adam�s journey into education began in Austria where he taught for two years at an International boarding school. Following that experience, he served as a Management Instructor and Curriculum Lead for the Pennsylvania Culinary Institute with courses ranging from Cultural Diversity to Strategies for Lifelong Learning. Adam is a graduate of Allegheny College and earned his MA in Psychology from Chatham University. Beyond the field of education, Adam was the Founder and Artistic Director of a theatre company, as well as the Producer and Host for WYEP-FM�s Coffeehouse Conversations series. Please join WISER in welcoming Adam to the team!